Package date coding is a popular marking solution across a wide range of industries. With multiple date coder options available date coding is a versatile marking solution that can be used to mark important information directly onto packaging including plastics and papers, the two most common packaging materials. Often date coding is done to be in compliance with various regulation, like food safety regulations, so the mark must adhere to a set of guidelines. Any guidelines should be taken into account when selecting a marking method. 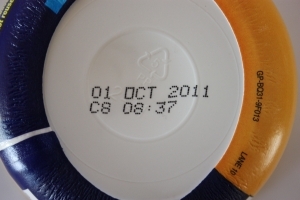 The information that must be marked when date coding is essential, but often the packaging is porous or uneven, so when choosing a date coder marking solution, it is important to know both what must be marked (dates, times, barcodes, etc.) and the surface material. There are a number of marking methods used in package date coding. The application, substrate, budget, and industry dictate which marking method is best suited. Some of the most common methods include hot stamping coders, inkjet printers, and carton and case coders. Hot stamping coders can be used to not only date code packaging but also wire mark and for heat shrink sleeving. Hot foil stamping is also used for personalization and decorative marking and tends to be used from lower volume applications. 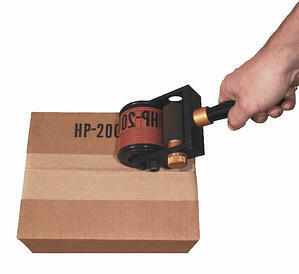 With both inline and handheld options, carton and case coders can be used to mark cartons, corrugated boxes, plastic film, and more. This style of date coder is available in both indexing (single print then reset) and non-indexing (continuous print) models. In addition, since our contact coders are not reliant on a liquid ink reservoir they can be oriented in any position. The most versatile style of date coder is an ink jet printer. Ink jet printers are ideal for medium to high volume applications as well as applications that require frequent changes to the mark itself. With inline and portable options as well as color printer options available, ink jet printers offer the most flexibility. We manufacture and supply replacement consumables for nearly every OEM packaging machine including Markem-Imaje®, Norwood®, Jones®, Norden®, Videojet®, Marsh®, Diagraph®, Linx®, Domino®, and many more. Contact Durable Technologies to learn more about our package date coding solutions. This post was published on April 2, 2019 and updated on April 2, 2019.